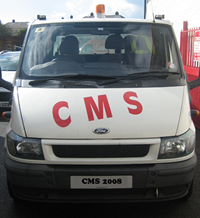 CMS is a family run business in Tipton, West Midlands and has been running for over 20 years. Fast forward to now and CMS are the backbone of a facilities management service, often taken for granted and performed out of sight. But a well executed planned and reactive maintenance service keeps properties fit for purpose at optimum cost. CMS cover both building fabric and electrical maintenance, provided to a diverse range of client environments. Our service solutions are developed for each clients individually, ensuring that their priority requirements are met. Whether we are required to maximise trading hours or minimise disruption, our managed maintenance solutions provide the appropriate response. Co-ordinated via our operations team, we provide our clients with what they need, when they need it.